Manage All Your Stock and Control Your Supplier Purchasing Whilst Out on the Field with Our Mobile Inventory Feature. For a 14-Day Free Trial, click here! A Full Featured Mobile Inventory System Designed to Manage and Streamline Your Entire Business from Start to End. Keep Your Business Organised All In One System. Manage your business the right way with our mobile inventory feature! If you would like to find out more information and have a free personalised demo of the software get in touch today! Are you looking to manage your inventory and easily maintain your stock whilst on the move? Silly question - of course you are! Eworks Manager works with many different industries across the world such as Electrical, Facilities Management, HVAC Management, Locksmiths, Property Maintenance, Plumbing and Heating and many more. All these industries have workers out in the field who will carry out various jobs. A stock management system will ensure you are reactive when it comes to over ordering, under ordering and theft control, which in turn minimises your expenditure and allows for quicker turnaround time on your jobs. 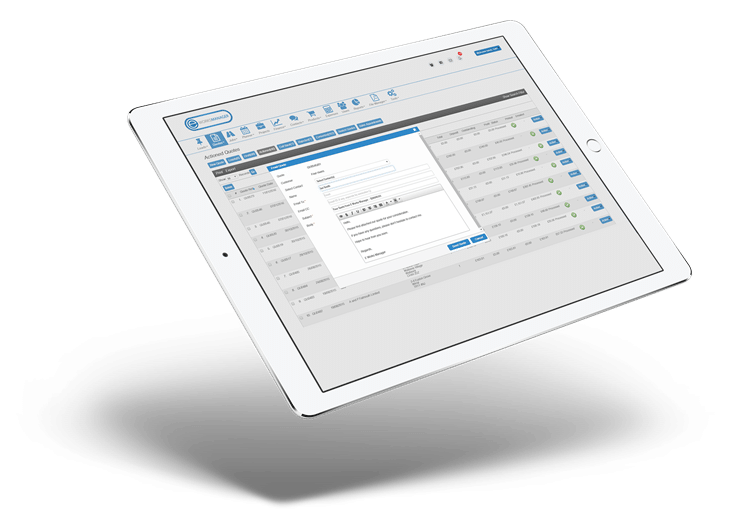 If you have a warehouse or a store that holds your stock and multiple workers out in the field, then our mobile stock management is the perfect tool for you! When materials are assigned to a job, your admin staff can quickly see if the field operative has the necessary materials available in their van. 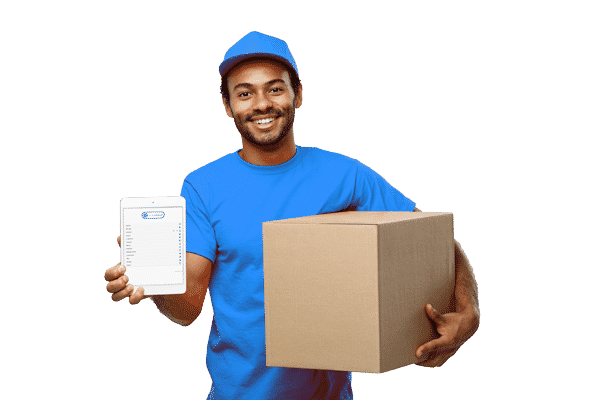 If not, with the click of a button they are able to inform the operative to collect stock from your warehouse or from a supplier in the case the warehouse is out of stock on an item. If your operatives are running low, they can generate orders from their mobile. The system will keep a full history of this, of course. It will give them the freedom to replenish their van without having to wait for another member of staff to intervene in the order and collection process. As each stock item is added, transferred or collected from a location, it automatically adjusts each locations quantity. This removes the hassle of capturing every movement manually. Mobile stock management is also an efficient way to carry out stock checks. Simply add your items and quantities and once completed, any discrepancies can be pointed out.